Ten Pieces is all about inspiring young people to get creative with classical music, in any art form that they like. Resources for the latest set of pieces are available so teachers and home educators can spark pupils' imaginations and introduce them to the world of classical music over the year ahead. Watch the world premiere of a brand new musical - 'Disaster Chef'! 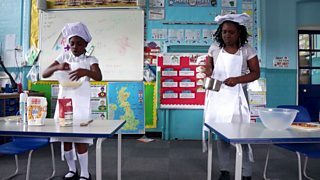 Pupils from Essex mixed Wagner's famous operatic piece with the drama of a bakery kitchen to create this unique take on a classic. Another must-see performance: An exciting assembly retelling of Stravinsky's Firebird. Originally written as incidental music for the play 'Peer Gint', Grieg's 1875 piece has been used extensively in popular culture - in movies, TV shows, adverts and even video games. 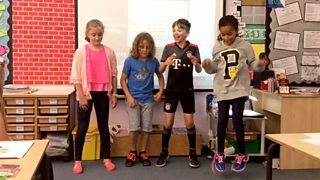 Primary pupils from Hertfordshire decided it was time for it to enter the world of rap! Another must-see rap: A Ten Pieces mash-up with a little help from rapper Kobi Onyame. Originally used in the soundtrack to the musical 'West Side Story', Bernstein's piece comes to life in this creative interpretation. 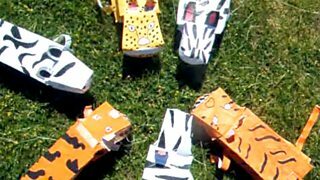 Pupils in Scotland linked the music with their recent studies of Malawi and created exciting musical chases and dances between prey and predator. Another must-see animation: An action-packed stop-motion interpretation of Handel's Zadok the Priest. We think Bach would definitely have been a fan of this response. Year 4 and 5 classes in Kent watched the Ten Pieces film and then drew graphic scores while listening to Bach's famous fugue. They explored using different instruments and from the scores created two pieces of music - one Latin swing-influenced and one disco inspired, using a range of 'spooky' effects! Another must-see composition: Vaughan William's The Lark Ascending gets a rock makeover. 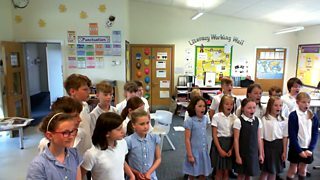 Watch students from Leicestershire perform a very special rendition of Bernstein's 'Mambo' to celebrate BBC Music Day in June 2017! 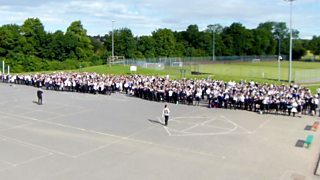 The whole school gathered with staff outside and formed a giant kazoo orchestra of 1,000 musicians to play the piece. Another must-see orchestra: A school group performs a brilliant recital of Bizet's 'Haberna'. We received hundreds of pieces of art inspired by the Ten Pieces music this year. 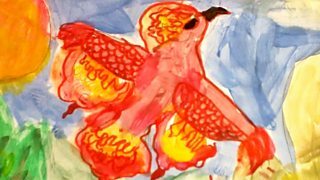 Stravinsky's The Firebird provided inspiration for many, including Class 4 pupils from Wiltshire, who created this beautiful and colourful artwork animation. More must-see artwork: Drawings, paintings and posters inspired by the Ten Pieces. A reception class from Merseyside created their very own dance interpretation of Grieg's music. 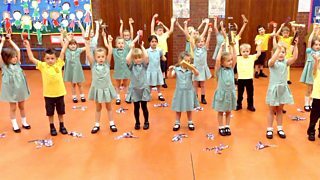 After watching Anna Meredith's body percussion piece Connect It to perfect their movements, the pupils performed their own dance moves, moved with streamers and played percussion instruments. Another must-see routine: Body percussion (and a dab!) inspired by Anna Meredith's Connect It. 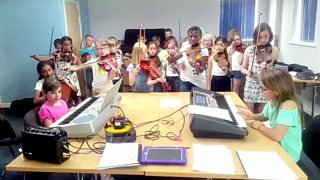 A Leicestershire class were inspired by Beethoven's Symphony No. 5 - not by its famous opening musical motif though, but by its historical context. After discovering the symphony was written around a time of conflict, the pupils created lyrics inspired by war. In the pupils' performance, two armies are having a sing off! Another must-see composition: A brand new piece cleverly based around Holst's 'Mars'. 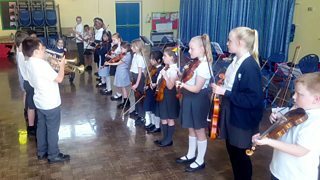 After watching performances of Beethoven and Anna Meredith, pupils were given 20 minutes to work together and create a brand new composition. They added moves inspired by the games Wizard Chess and What's the Time Mr Wolf? The result is a tense Beethoven battle of trumpets versus violins! Another must-see musical battle: Ocarinas take on keyboards set to Grieg's In the Hall of the Mountain King. 10. And one of the pieces gets its own remix! 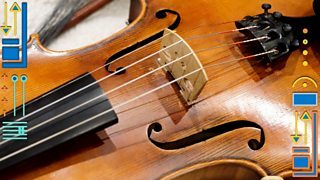 A Year 9 student from Yorkshire got creative with Vaughan Williams' work and produced an imaginative 21st Century take on one of the most loved British classical pieces of all time. After importing the MP3 from the Ten Pieces website, the pupil cut out 8-bar sections and used them as an intro and outro for a 'trap-themed build and drop'. Another must-see composition: A clever short adaptation of Mussorgsky's A Night On The Bare Mountain. Want to download the music? Looking for free teaching resources?